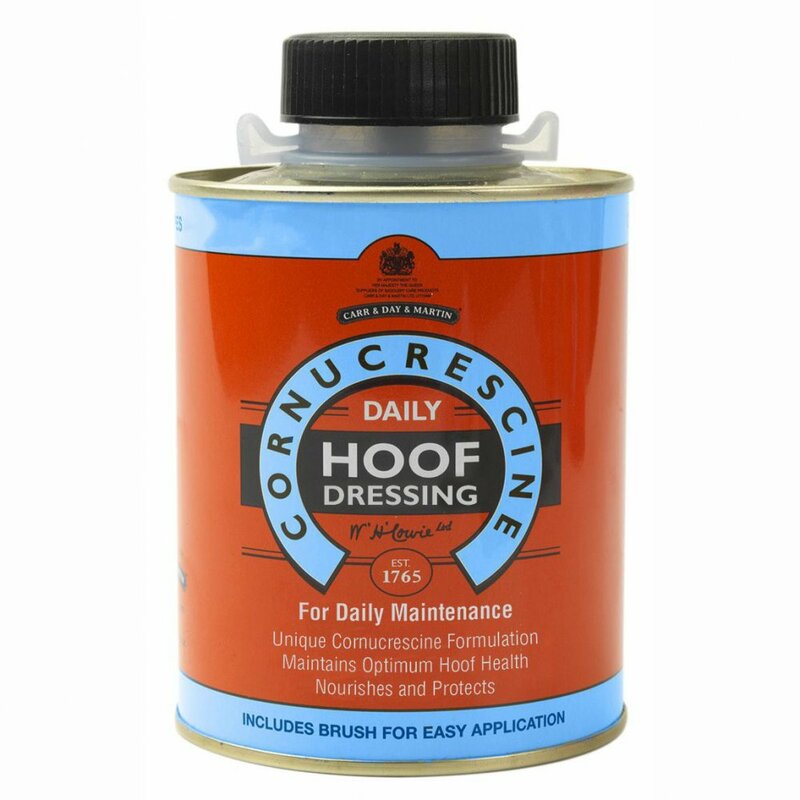 Cornucrescine Daily Hoof Dressing is specially formulated to nourish hooves and keep them healthy all year long. This daily hoof dressing is suitable for all hoof types and spcifically designed to be used daily as part of your hoof care routine. Cornucrescine Hoof Dressing is easy to apply with a brush (included) and stores with minimal mess in its handy tin. This daily hoof dressing contains essential oils and Lanolin, a natural fat known for its moisturising properties. When applying this daily Cornucrescine dressing ensure the hoof is clean and dry and apply liberally on both the hoof wall and sole (if required). If you are treating damaged hooves it's advisable to also use Cornucrescine Original Hoof Ointment and apply it to thecoronet band as this can help to accelerate hoof growth.